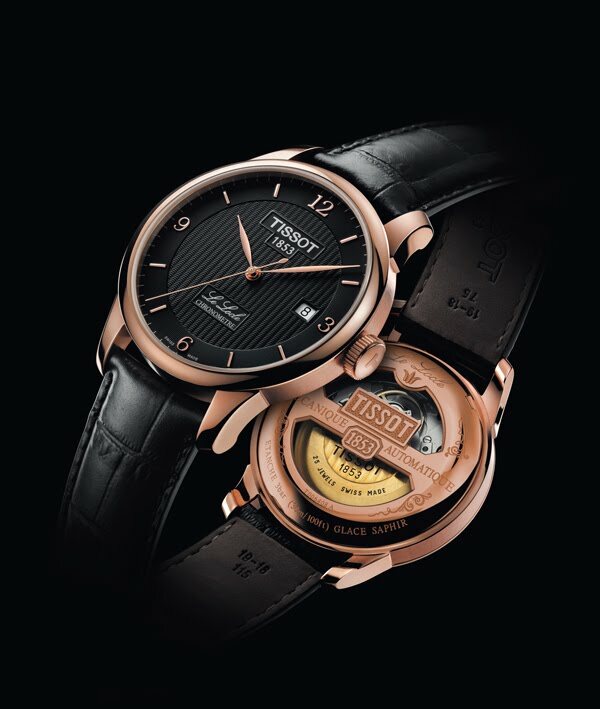 Tissot wanted to share a part of their masterpiece with its customers following its victory at the International Timing Competition. This unique watch demonstrates the maker’s expertise in the art of creating exceptional mechanical movements that provide utmost precision, to which the COSC (Control Officiel Suisse Chronomètres) testifies. The sophisticated heart of this magnificent timepiece can be perceived through a finely engraved see-through case back. But as stunning as the interior may be, there is no compromise on its exterior. This piece offers pure elegance, prestige and class to its wearer. The Tissot Le Locle Automatic Chronometer Edition features a double anti-reflective sapphire crystal to make you feel closer to its ticking motion, the fine hands and the beautifully patterned guilloche dial on which these are displayed. The Arabic numerals convey a touch of modernity while a bicolour option adds to the distinguished look. This extraordinary piece is available with a stainless steel bracelet or a leather strap. The PVD rose model option which is offered recalls all the timeless understated elegance of its predecessor.